How could it be possible not to favor the fantastic Plex media server? It's a silver bullet for you to organize your videos, movies, music, photos & TV shows and stream them to all of your devices (Apple, Android, Xbox, PSP, TV, desktop, home accessories, etc.) for viewing anytime anywhere. However, a media server without any flaw cannot be found. The problem that users reflect strongly is that they can't add DVD library to Plex media server library. How to import DVD to Plex? Ripping your DVD to Plex best video formats using a professional DVD ripper. 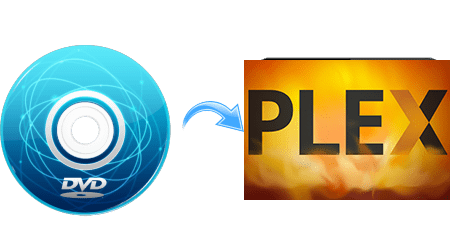 Well, what is the best media format to rip DVD for Plex media server? And which one is the easiest program to digitize DVD disc for Plex streaming? Read on. 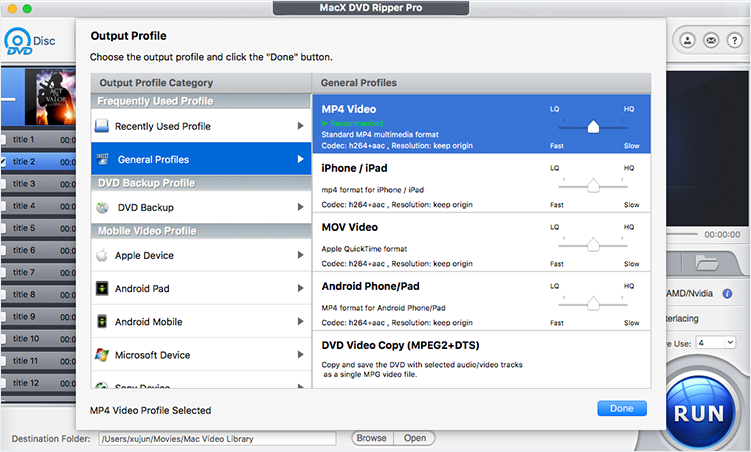 MacX DVD Ripper Pro - world's fastest speed to rip any DVD (homemade or protected 99-title/oversized 75GB DVD, workout DVD, damaged/unplayable DVD) to MP4 H264, HEVC, MOV, MKV, AVI, etc. with original quality. 5 minutes to rip a full 90-min DVD to Plex thanks to Intel/Nvidia/AMD acceleration. Why Choose this Program for DVD to Plex Ripping? 1. It supports whatever type of DVD disc as input, no matter homemade DVD or commercial copyright protected DVD like 99-title DVD, oversized DVD, Japanese AV DVD, scratched/unplayable DVD, bad sector DVD, etc. Comparatively speaking, neither Handbrake nor makemkv can handle these tough DVD discs. 2. No.1 fast speed to rip DVD to Plex, DVD to NAS, Kodi, Roku, DLNA supported MP4 H264, HEVC, AVI, MOV, FLV, VOB, WMV, MP3, as well as 1:1 backup DVD to a single MPEG-2 file, clone DVD to ISO image and copy DVD to MKV. The unique Intel/Nvidia/AMD HW acceleration techs overshadow HB and makemkv. 3. Built-in with 350+ preset profiles, this DVD backup software makes it painfree to rip DVD to iPhone X/8/7/6s/6/Plus/SE, iPads, Android (Samsung, Sony, Huawei, Xiaomi...), Microsoft, Nokia, Blackberry, Xbox One, PS4, Amazon Kindle Fire series, etc. and further edit DVD movie via cut/crop/merge/subtitle features. Note: this DVD converter supports GPU hardware acceleration to dramatically improve DVD ripping speed up to 5X faster than Handbrake and makemkv. Yet, to make use of the HW acceleration tech, there are certain demands on your computer hardware configurations. Check the HW accelerated DVD ripping guide to know the detailed demands on your CPU and GPU chips. After all, resort to a computer with high-level configurations as much as possible. Step 2: Tap "DVD disc", "ISO image" or "DVD Folder" to load your DVD source. After the DVD importing is successfully finished, the DVD title will be auto detected and ticked by this utility. The DVD info including DVD movie length, resolution, aspect ratio, audio channel and subtitle will show up at the home screen, as well. Step 3: Opt for "MP4 H264" as output format from the "General Profiles" category at the pop-up window. You can also freely move the slide bar to adjust LQ (low quality) to HQ (high quality) or vice versa. Of course, higher quality comes at the cost of slower speed. There are also DVD Backup Profile and Mobile Video Profile available for you to 1:1 losslessly backup DVD main/full title to single MPEG-2 file, clone DVD to ISO image for storage and copy DVD content to Apple Android Microsoft, Amazon, Google, etc. latest handheld devices. Note: go back to main interface and hit the settings icon next to the output format icon to adjust output movie with best Plex settings. You're allowed to adjust output movie resolution, frame rate, aspect ratio, video codec, etc. to meet Plex media server requirements listed above. What's plus, tap "Edit" icon with a scissor-shaped icon to cut off the unnecessary opening song/ending song or the boring monologue to shorten movie length and save ripping time. More editing features like adding external subtitles to movie, cropping video, merging TV episodes into one, are waiting to be called by you. Step 4: Press "RUN" to begin ripping DVD content to Plex supported MP4 format on your desktop. As for the newly released copyright protected DVDs, you're suggested to tick "Safe Mode" if half crash happens during the process. The general DVD converters is powerless to handle latest protected DVDs, but MacX with Safe Mode can guarantee you a 100% smooth DVD to digital ripping process. Certainly, the speed will be slightly affected, a little bit slower than usual. Warm Prompt: The software developer calls for copying or ripping DVD under the concept of Fair Use and does not encourage any illegal reproduction or distribution of copyrighted content. Please abide by the local DVD copyright law before doing it. Best DVD to Plex ripper - MacX DVD Ripper Pro enables you to freely rip DVD, ISO image, DVD folder to Plex media server supported MP4, H.264, HEVC, MPEG4, MOV, MKV, WMV, AVI, FLV, etc with high quality and GPU HW accelerated speed. Update constantly to rip any newly released DVDs with CSS, Region Code, RCE, Sony ARccOS, UOP, Disney X-project DRM, etc. Which NAS Drive is the Top Ranked One on Google? Guide you to add DVD to iMovie for editing. Choose the best DVD to iTunes ripper freeware you'd like.